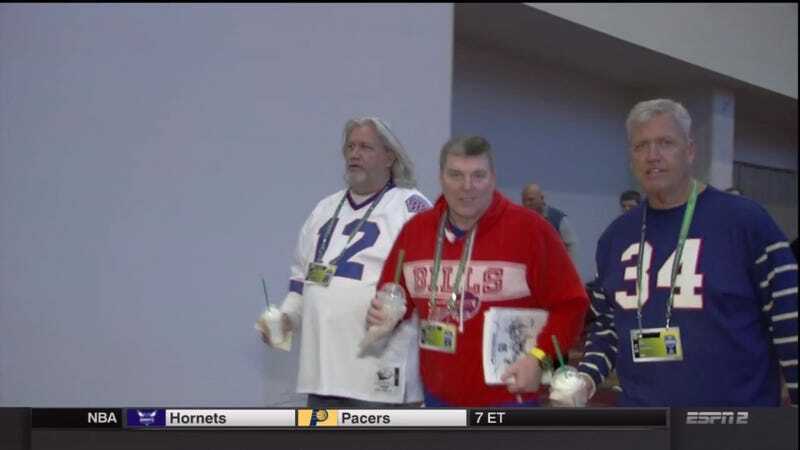 Throwback Buffalo Bills jerseys: check. Vanilla bean frappucinos: check. Those rambunctious Ryan boys are all set to scout some players. Let’s watch some goddamn 40-yard dashes, baby.